Striker Jonte Smith has left the Dripping Pan to join Oxford United. Jonte, who first joined the club in 2016 and scored 56 goals in 121 appearances for the Rooks, had his contract with the club terminated for an undisclosed fee, allowing him to join the League One side. Manager Darren Freeman is sorry to see his star striker go. "When I first signed Jonte, the ultimate plan was to get him back playing League football. "Jonte has put himself in the shop window with his performances over the past couple of years and he deserves his chance. "Jonte's been a fantastic role model for the club. It goes without saying that myself, Ross and Codge - and I'm sure all the players and fans - hope to see him doing really well for Oxford. With a lot of hard work the sky's the limt for him." 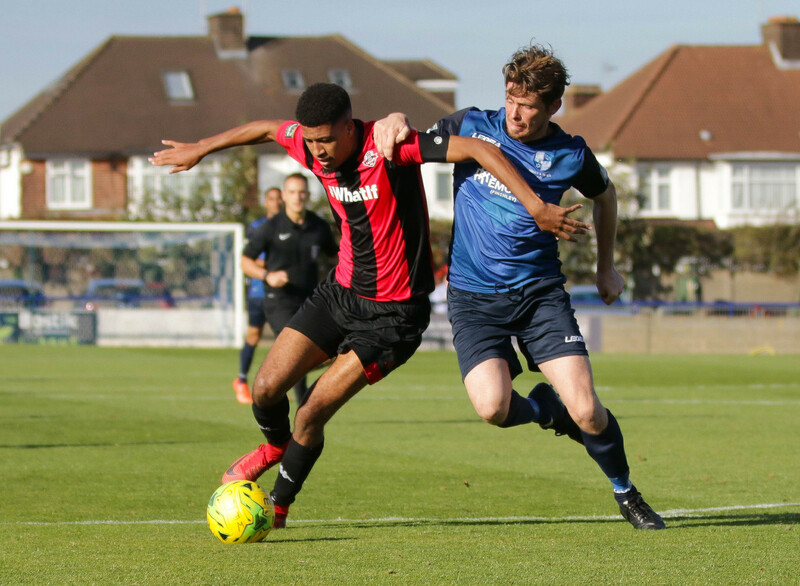 Jonte first joined the Rooks on loan in 2016, but after scoring ten goals in 15 games he earned himself a move to Welling that summer. Jonte returned to the Pan later in 2016, first on loan before eventually making the move permanent. He was an instrumental part of our promotion to the Bostik Premier League and his 12 goals this season have helped push us into promotion contention once more. Everyone at the club wishes Jonte the best for his future career in the Football League.